Selling my top to switch out as a last ditched effort to satisfy the wife. Two years ago this is how much I paid and I put a fair amount of work into it, so figured I would try and sell it for the same price. Pictures are below, it is a very rare black canvas (I think only 3 made?!?). I have raptor lined the top and replaced the rubber gasket. I will also include a nice long bed/sleeping pad that i switched out the old one for. I can include the rack/solar for additional charge. It is mounted outside of the canvas, so it can be removed easily. I can also help you cut the hole and mount the top to your van right in front of my house. That way you dont have to figure out how to tow it to wherever you are going. Would probably like a little extra cash as its a pretty big job, but its all negotiable. Looks like a great deal. I emailed you. I thought the whole van was for sale? Are you parting out the rest? Damn, that's a deal right there! Van is still for sale. If we sell the top we will put on a fixed top and give that a shot for a while. 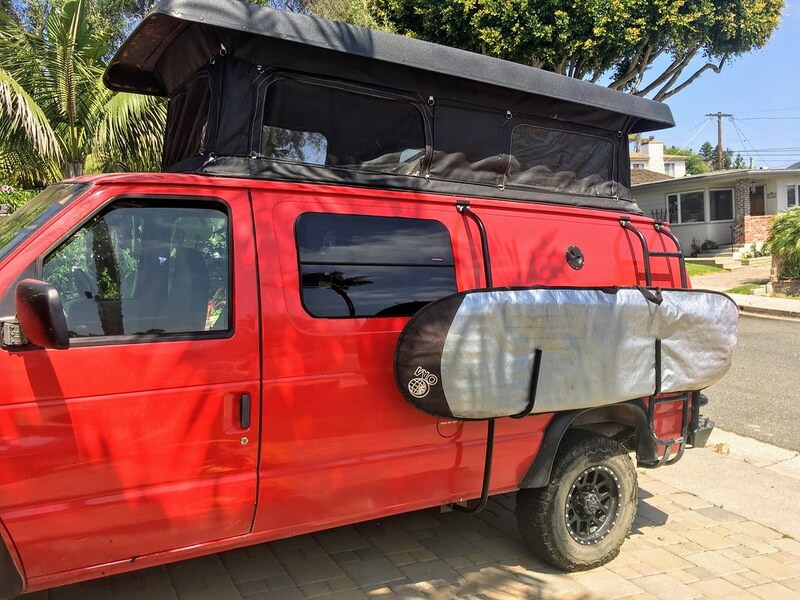 I would part it out if someone wants the van at a lower price. My brother already has dibs on the bumpers. I’d say our first choice right now is selling the top and trying a fixed top. 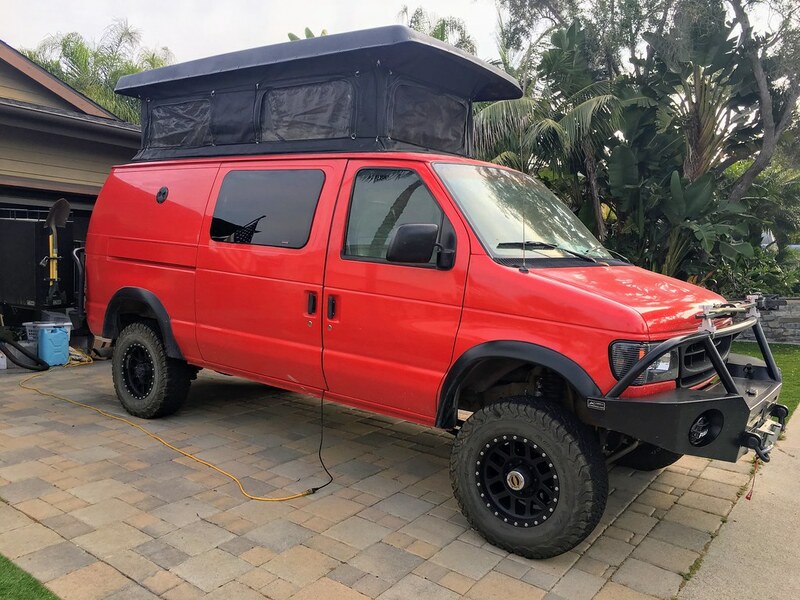 Originally the wife wanted a sprinter, but She is all for trying a high top econoline first. wives get on pinterest and see all the wood grain and feng shui Sprinters. Then it's tough. You could get a shorter wife? I went through the same situation, in order to keep wife and kids comfortable and happy we had to ditch the pop top, which I’m very thankful for. 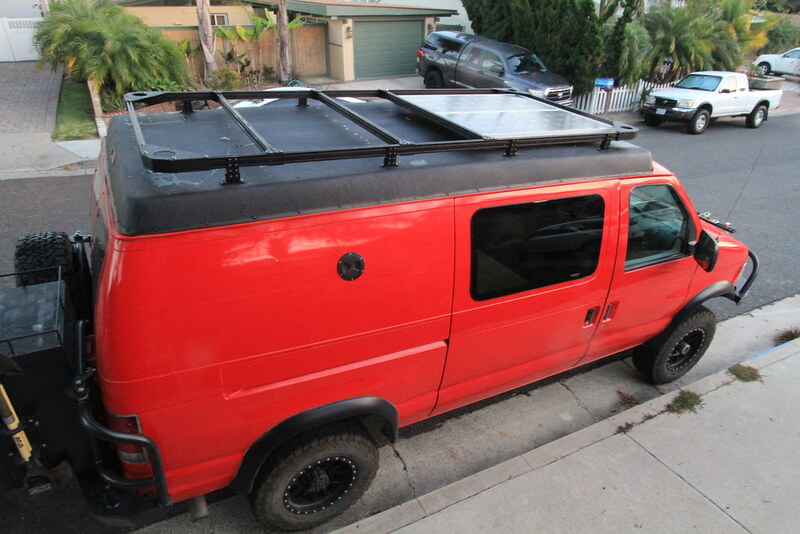 Man, wouldn't it be easier to just sell the van complete and start with another E series, maybe an EB with a fixed top? Not really hard to find.